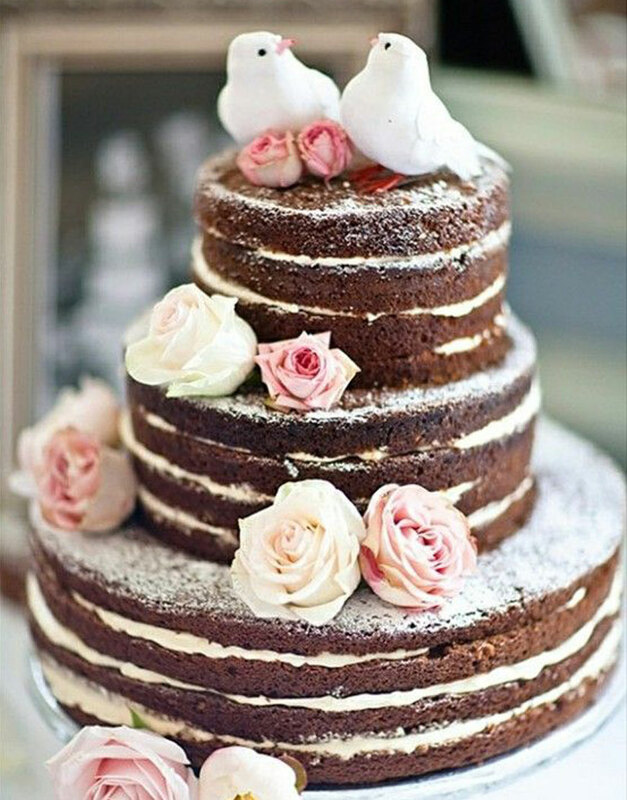 Celebrate your love and passion for each other with this Unique, chocolate wedding cake complete with a cute bird topper. Aptly named as the “Love Birds Wedding Cake,” this one is exclusively for the young lovebirds who are very much in love. Let this cake steal the show at your wedding. This cake for wedding has several layers of chocolate sponge cakes filled with yummy choco buttercream. Beautiful pastel roses add to the romanticism of this cake, and the lovebird's topper steals the limelight. Wedding cakes are all the rage right now. They are one of the bestsellers in GurgaonBakers, and nearly all weddings in 2017 have some sort of naked cakes. Minimal icing and no fuss, these cakes are perfect for serving at large weddings. Place your order for this lovebirds wedding cake and get in touch with us to customise the number of layers and flavours.